Getting the groom’s wedding outfit right is almost as important as the bride’s – after all he’ll be right next to you in all the wedding photos! Check out our guide to grooms wedding outfits if you need a little inspiration. Grooms are generally quite conservative when it comes to their shirts, and white, cream, and ivory are still the most popular shades. For those that dare to be different, the recent trend for soft greens is moving towards a brighter turquoise, and cherry reds, soft plums, and dark lilacs are all great options. 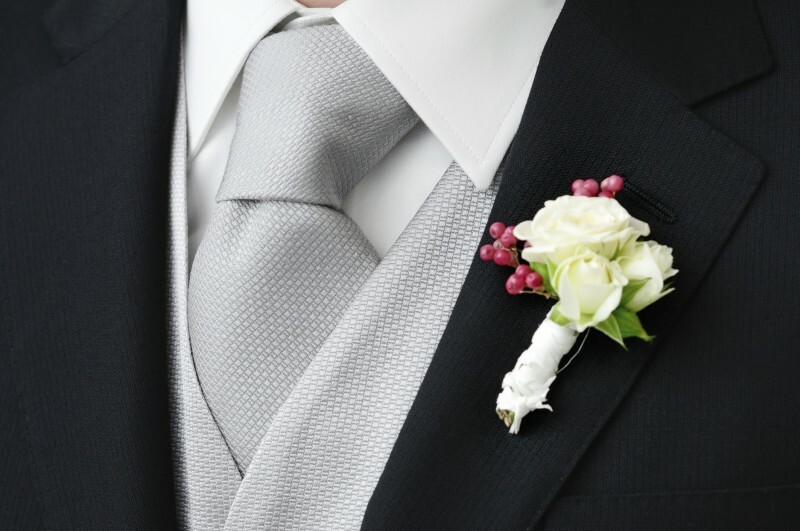 For wedding suits grey is currently the most popular colour and this looks particularly good with shirts in colours such as pink, lilac and pale blue, which are also favourite choices for bridesmaids’ dresses. A tailored suit and shirt can allow your groom to create a truly unique outfit by selecting all the fine details from the style of the cuffs to the type of buttons and the colour of the stitching. It can also make a significant difference to how your groom looks and feels on your big day by resulting in a perfect fit. If you are having outfits made for the ushers as well as the groom, your fiancé may choose to alter certain details of his own outfit, to set him apart from the rest of the wedding group. The morning suit is a wedding classic that consists of top hat, tails and a waistcoat, often worn with pinstripe trousers. A morning suit can be co-ordinated with the bridesmaids’ dresses, or the colour of your flowers, by wearing a matching coloured waistcoat and a tie or cravat. This is still a popular look and gives your groom the chance to wear something completely different from his usual work clothes. Most grooms will decide to hire their morning suits, as it is unlikely they will need to wear them again soon. Tuxedos are a great alternative to the morning suit, taking inspiration from the suave James Bond. A bow tie and cummerbund can be added to co-ordinate with the wedding colour theme. 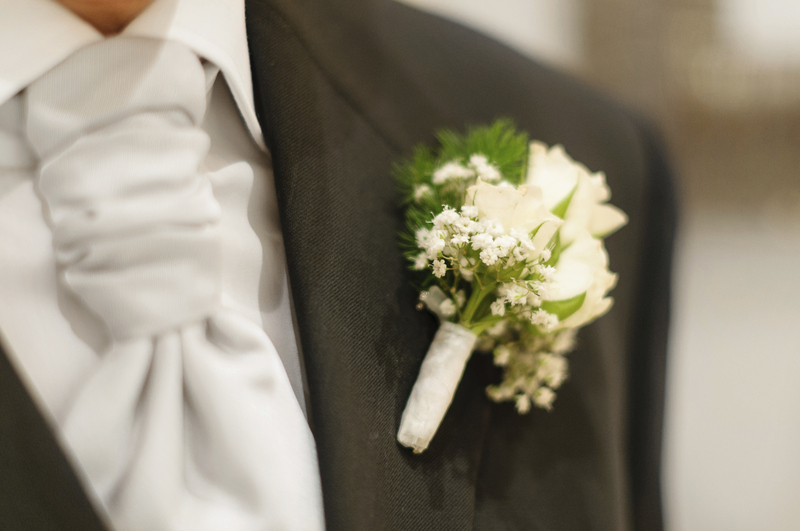 Tuxedos are particularly suitable for an evening wedding, and are available in a variety of colours, although black and white are still the favourites. A frock coat is a third option for grooms that don’t want to wear a morning suit, but still want to look smart on their wedding day. This is a three quarter length jacket that can be teamed up with a cravat or a tie.